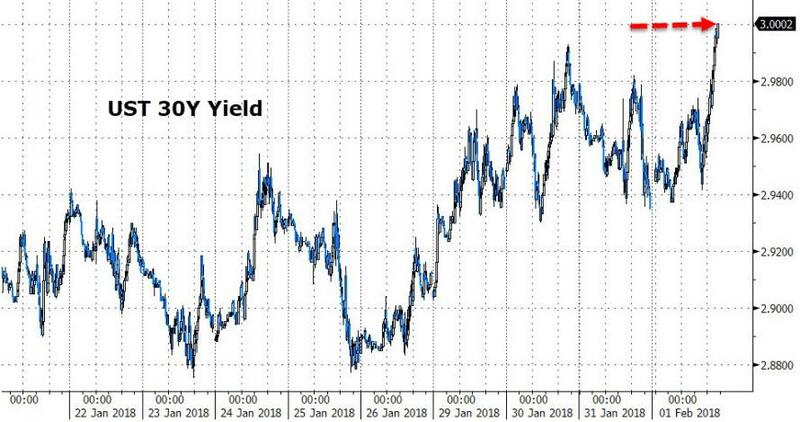 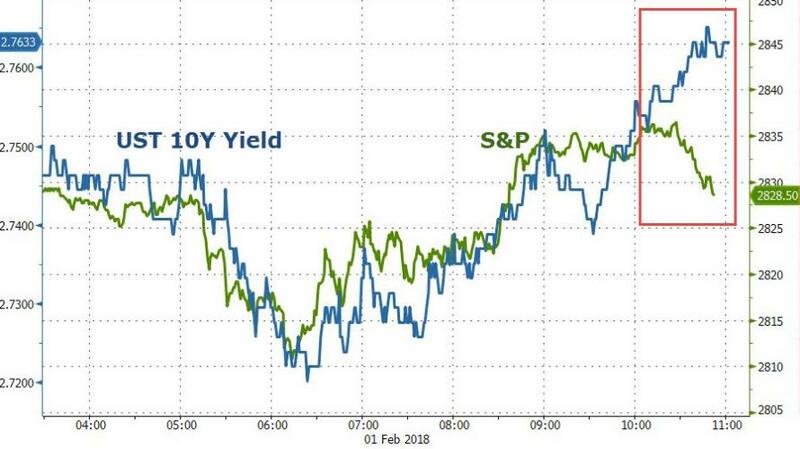 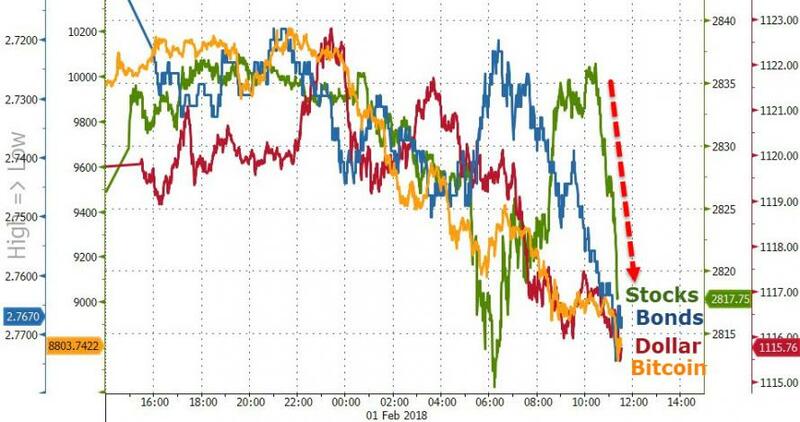 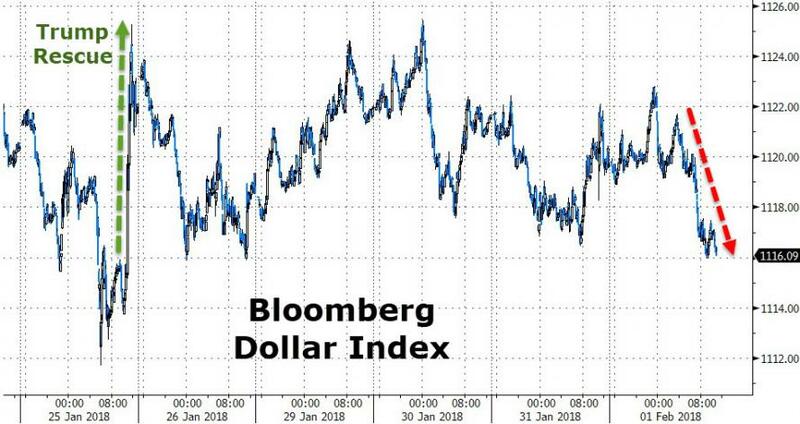 Reminding his audience of the rivalry between himself and Bill Gross, Gundlach disagreed with the former bond king, who made headlines today with his statement that the bond bull market is over, and said that "Gross is too early with his TSY bear market call." 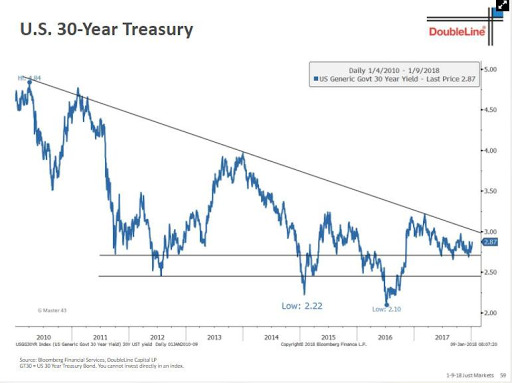 What is the catalyst for Gundlach? 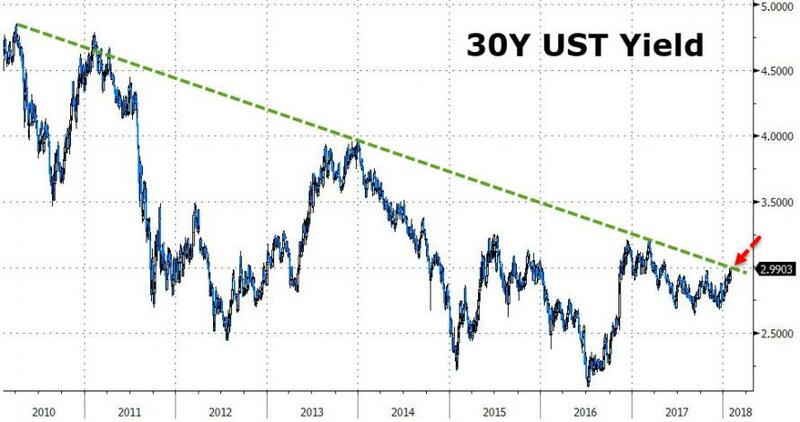 As he explained, one "needs to see the 30Y at 2.99% or above for the trendline to break." 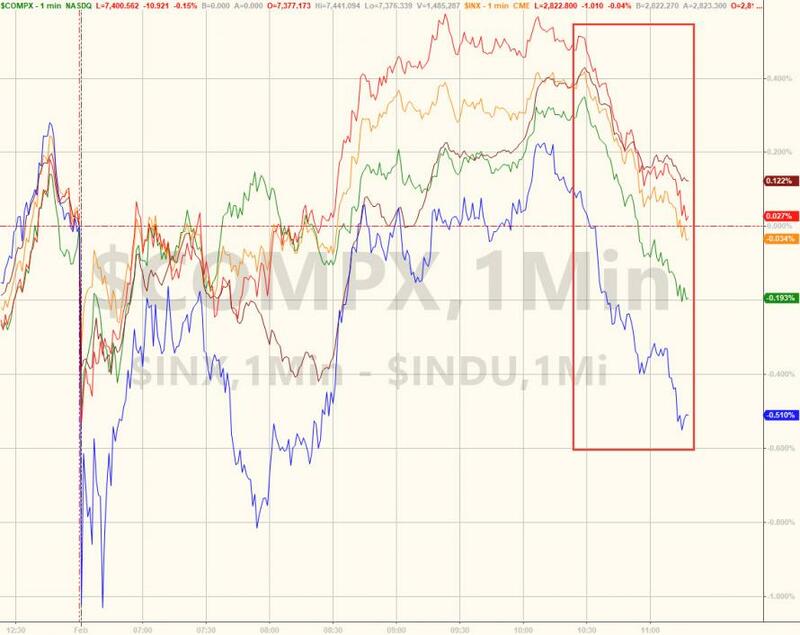 But, with AAPL, AMZN, and GOOG reporting tonight, it's anyone's guess where we open tomorrow.